220mm high, 10 year annual wooden shield. Elegantly shaped rosewood veneer shields. 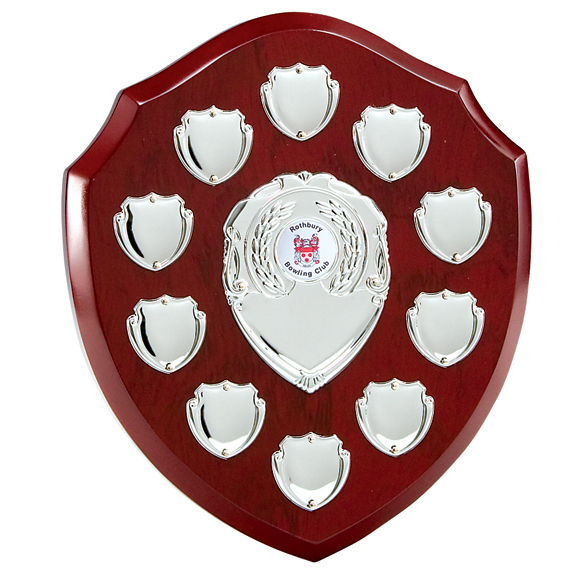 Centre shield for the club/team name and awards title and 10 mini date and name shields attached for the annual winners available for engraving. Included is a standard 1 inch centre. Customised centres available at an additional charge.